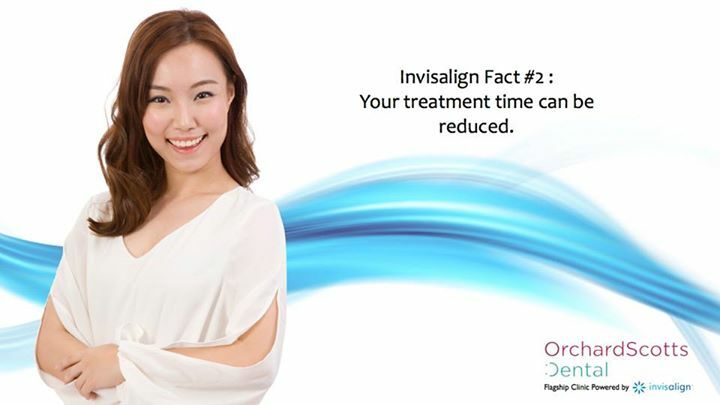 Technological advances like iTero digital scanner and Acceledent have allowed the Invisalign treatment time to be reduced significantly. Not only does the iTero digital scanner remove the need for uncomfortable moulds, it can also reduce the turnaround time before you start wearing your aligner by three to four weeks. Acceledent is an advanced device that stimulates bone growth and can help reduce Invisalign wear time by half. Call us at 6732 9939 or drop us an email at enquiry@orchardscottsdental.com to find out more.